2018 STUDY TRIPS: Seats are selling out fast! 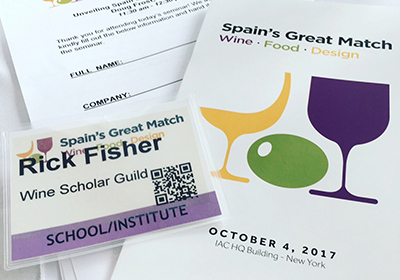 BLOG: Hola Spain’s Great Match NYC! Only one trip is scheduled in each region in 2018 with some (Languedoc-Roussillon, and Rhône) which won't be repeated until at least 2019. Don't miss this unique opportunity to travel with like-minded, committed students of wine and share with us an unforgettable educational, epicurean and enlightening experience! Our member webinar schedule for this fall and winter has been released! 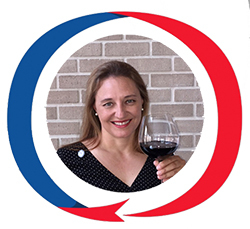 Congratulations to Sonia Hyncik Beauvarlet, FWS, for passing the French Wine Scholar exam with highest honors with Wine Smarties in San Diego ! The course book was beautifully written and is something I will frequently consult. The online Wine Scholar Guild tools also made a difference for me: thorough course modules, detailed maps, beautiful illustrations, comprehensive quizzes... To date, the French Wine Scholar course has been the best educational experience on this journey. I feel it has helped me become a better student and made me step out of my comfort zone when approaching new subject matter and new wines. I am anxious to try the Italian Wine Scholar course and hope it will soon be available in San Diego." Read More. Learn about more aboutrecent EXAM TOP SCORERS!